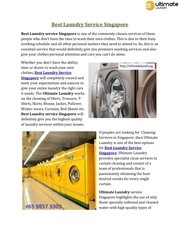 Best Laundry Service Singapore Best Laundry Service Singapore Best Laundry service Singapore is one of the commonly chosen services of those people who don’t have the time to wash their own clothes. 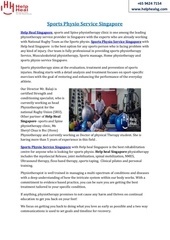 Sports Physio Service Singapore +65 9424 7154 www.helphealsg.com Sports Physio Service Singapore Help Heal Singapore, sports and Spine physiotherapy clinic is one among the leading physiotherapy service provider in Singapore with the experts who are already working with National Rugby Team as the Sports physio. 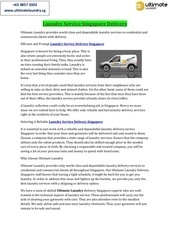 Best Laundry Service Singapore +65 9857 3303 www.ultimatelaundry.sg Best Laundry Service Singapore Laundry service Singapore is one of the commonly chosen services of those people who don’t have the time to wash their own clothes. 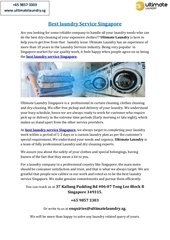 Best Laundry Service Singapore +65 9857 3303 www.ultimatelaundry.sg Best laundry Service Singapore Are you looking for some reliable company to handle all your laundry needs who can do the best dry-cleaning of your expensive clothes?? 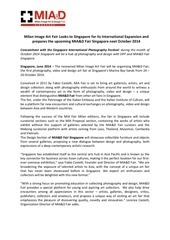 Singapore peoples are very smart and intelligent. 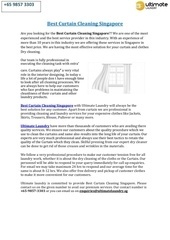 Home Painting Services in Singapore +(65) 6826 1187 +(65) 9879 8790 Home Painting Services in Singapore Have your walls painted and decorated perfectly?? 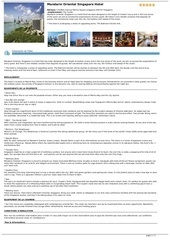 Painting Services in Singapore +65 6826 1187 www.nouve.com.sg Painting Services in Singapore We picture our house as a perfect combination of thoughts and reality. 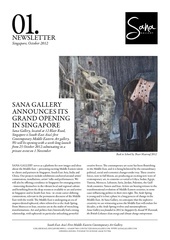 Newsletter Singapore, October 2012 Sana Gallery announces its Grand Opening in Singapore Sana Gallery, located at 12 Blair Road, Singapore is South-East Asia’s first Contemporary Middle Eastern Art gallery. 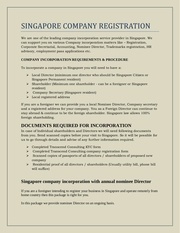 Sports Massage Singapore +65 9424 7154 www.helphealsg.com Sports Massage Singapore Help Heal SG is one among the leading Sports Massage Singapore having professional’s therapist in their respective fields. BBC Knowledge Asia Edition April 2014 04 9 771793 983016 Destination Zero Carbon (Singapore) Finals 2014 1:20 Scale Hydrogen Fuel Cell Car Race Compete in the most exciting zero emission drag race. 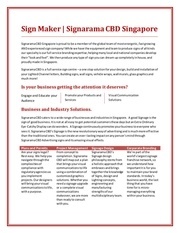 Acrylic Signage Supplier Singapore Sign Maker | Signarama CBD Singapore Signarama CBD Singapore is proud to be a member of the global team of most energetic, fast growing AND experienced sign company! Marble Floor Polishing Services in Singapore +65 6826 1187 www.nouve.com.sg Marble Floor Polishing Services in Singapore Are you looking for Marble floor Polishing service in Singapore? 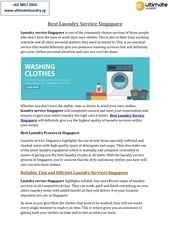 IWeek SMIB 2017 iMagination week in a nutshell Two weeks ago the iMagination Week was held at ESSEC Business School Asia Pacific in Singapore Campus.